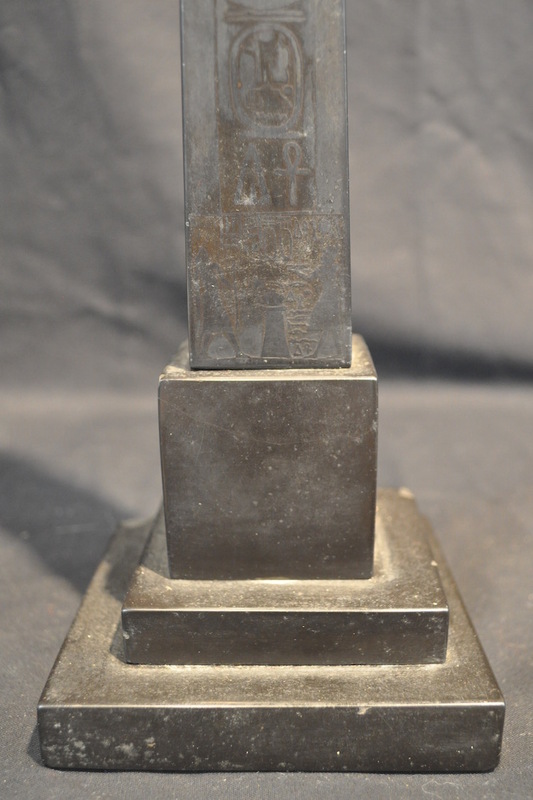 Antique Italian Grand Tour black marble obelisk with fine quality hieroglyphics etched on one side. It's a smart looking addition to your Grand Tour obelisk collection, or a good one to start with! 16 3/4 inches tall. 16 3/4 inches tall. Base 4 1/4 inches square. Condition is good and consistent with its age as an antique. The etching shows some where, and there are several nicks and chips on the corners of the base, as well as the top tip of the obelisk (see photo). 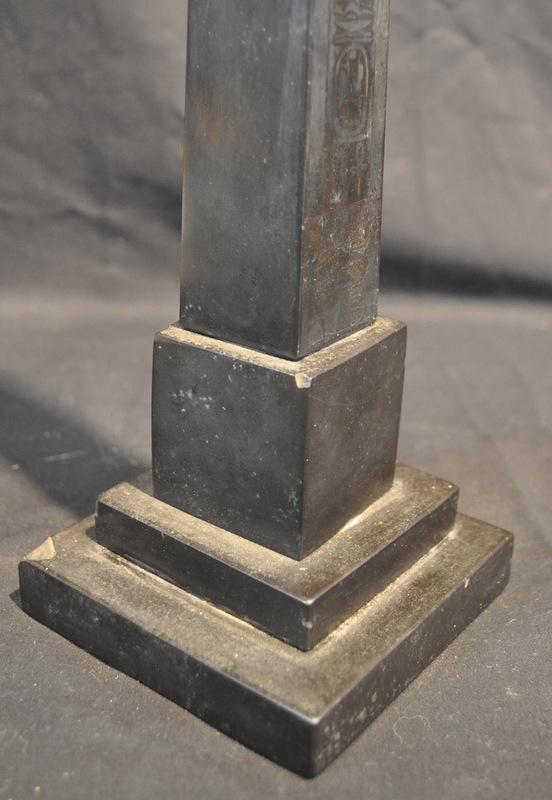 The obelisk is assembled with a central rod which is secured by a screw in the base. More photos available on request.